Spend your lunch hour enjoying one of the city’s most unique shopping experiences. 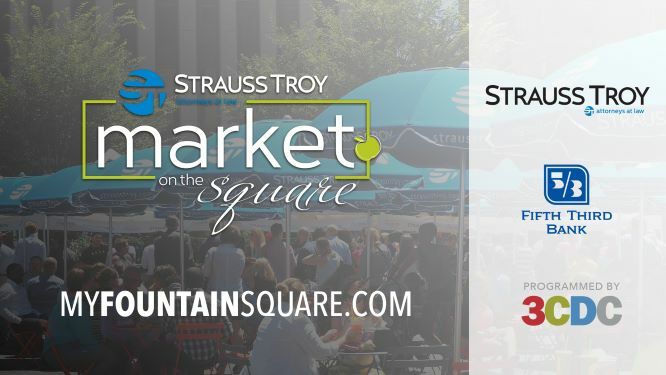 Every Tuesday from 11a-1:30p local vendors will offer everything from fresh produce and lunch food to sweet treats and handmade items at the Strauss Troy Market on Fountain Square. Series runs April 2nd to October 8th. Thank you to our sponsor Strauss Troy! Events at Fountain Square brought to you by Fifth Third Bank.